I’m grateful for the church growth movement. But I want more. In the last 40 years, church growth has moved from an indefinable mystery to a quantifiable science. There are innumerable books, conferences, classes, podcasts, magazines and blogs dedicated to the study of church growth. What causes it? What hinders it? What can we do to make it happen in our church? I’m a big fan of studying this kind of phenomenon. If there are principles we can discover that will help us in the mission, let’s do everything we can to learn those principles, use them and pass them along to others. But every good thing comes with unintended consequences. One of the unintended consequences of the church growth movement is that it has reinforced a presumption that actually limits our vision instead of expanding it. At first, the question seems fine, even noble. After all, who wouldn’t want their church to grow? But hiding beneath the surface of that question is a problem. When we’re asking about how to grow the church we’re in, we’re forgetting a deeper and more important question that should always be uppermost in our minds. How passionately do I want to see God's kingdom advance in this world, and is growing a bigger church the best way for me to participate in it? In many instances, the answer to that question will be a resounding “yes!” But not in all cases. 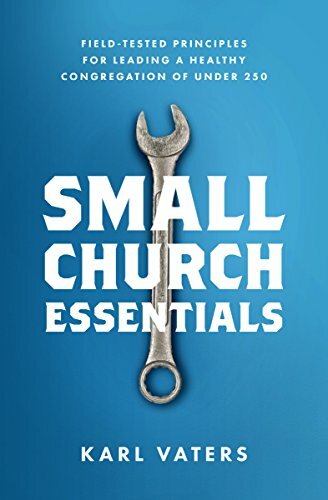 For some, the answer will be to plant a whole lot of small churches, for others it will be to go to a place where the spiritual ground is hard and numerical growth will be slow, maybe even static or declining. And even in the cases when the answer to the church growth question happens to be “yes”, we can’t get to the reasons behind that answer if we’re not starting with the right question. If our question is based on our passion and heartfelt desire to see Christ’s kingdom advance, we need to acknowledge it by including that desire in the way we ask our questions. When we make the assumption that numerical growth for our local congregation is equivalent to kingdom growth, we might miss something new, fresh and exciting that Christ wants to do in and through us. Something that might not produce the numerical growth we’re expecting.